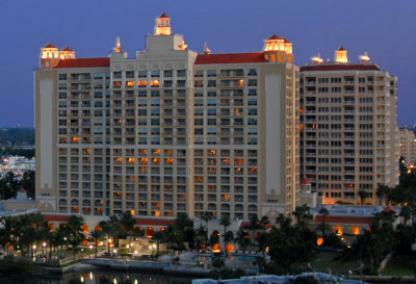 The signature of luxury is found at the Ritz-Carlton Residences and the adjacent Tower Residences in downtown Sarasota. Residents are privy to the ultimate in resort-style living in two separate majestic high-rises. Built from 2001 to 2003, there are 130 condominium units in these two opulent towers. Below are all of the current listings for sale at The Ritz-Carlton Residences with detailed information, descriptions, and photos. Our database is updated daily so check back often. Please contact us below or call us at (941) 923-7777 if you would like to schedule a tour of any of the properties. Separate from the main hotel, the Tower Residences is a 17-story residential building with keycard entry. Interiors of condos here provide from 1400 to 4700 square feet of beautiful designed space within various floor plans. Architectural elements and features are beautifully designed. 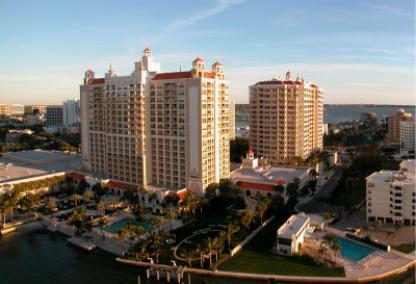 Spacious terraces provide incredible views the city, Sarasota Bay and the Gulf of Mexico. 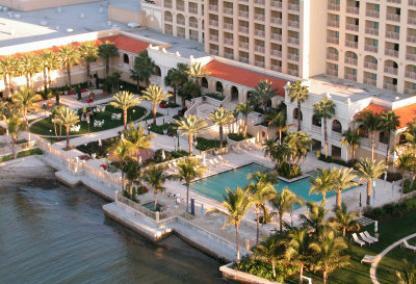 The Sarasota Ritz-Carlton is a top 10 rated hotel in America, and resident owners enjoy an exclusive lifestyle and exceptional amenities and services. In addition, owners enjoy of optional services provided by the staff including room service and maid service. There is also a private dining room in the building that accommodates up to 14 guests. The Ritz-Carlton Members Club offers the height of pampering. All owners are elgible for membership. Various membership packages are available for accessing the luxurious Spa, the Beach Club on Lido Key and the beautiful Golf Club. Downtown Sarasota is home to restaurants, art galleries and shopping. All are within a reasonable walk from both buildings. The downtown area is vibrant and also offers cultural venues featuring the opera, ballet, theater, museums and symphony. St Armands Circle is across the Ringling Bridge and provides world-class shopping and an excellent selection of fine dining. Lido Key Beach is just west of St Armands.